How Do Stem Cells Treat Back Pain? When you suffer from chronic back pain, the traditional course of treatment has been the use of medications or injections. While these methods can alleviate some of the pain, they don’t always address the root of the problem, which leads to continuous back pain and potentially other medical conditions. With the scientific advancements in healthcare, there are newer and more effective ways to manage the chronic pain you feel in your back without the constant need for medications. Stem cell therapies now are an option that not only reduce your dependence on medicines but also can address the cause of your back pain. Stem cells have a distinctive quality other cells don’t possess. They can transform themselves into other types of cells your body needs to heal damaged parts of your body. With chronic back pain, stem cells are injected into the treatment area with the purpose of generating new cells to replace damaged discs and joints. Throughout the natural aging process, the number of stem cells you have begins to decline. The available cells also can lose their potency over time and fail to heal the body properly. Stem cell therapy can provide necessary cells no longer available in your body naturally. 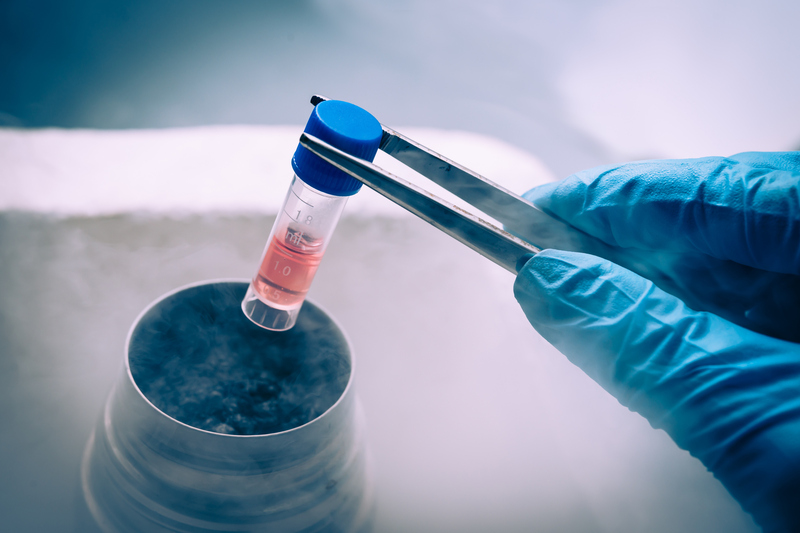 What is involved in stem cell therapy? If Dr. Hooman determines you are a good candidate for stem cell therapy to treat back pain, it is important to understand exactly what to expect from the procedure, including all possible outcomes. Stem cell therapy involves two parts to the process. First, Dr. Hooman uses your own blood or bone marrow to extract the needed stem cells. He must isolate the stem cells and the platelet-rich plasma (PRP) using a centrifuge. The stem cells and PRP are then injected into the targeted treatment area of your back. Dr. Hooman uses ultrasound technology to guide the injection into exactly the right position. The procedure is performed on an outpatient basis and you can go home afterward to rest. How fast are the results of stem cell therapy? Immediately following the injection, the stem cells set to work restoring the diseased areas of your back. The platelet-rich plasma also offers benefits in that they stimulate the stem cells to ensure they function optimally. Due to the nature of stem cells, it takes time to see noticeable results. You may start to experience some relief of your back pain within three weeks of the injection, as inflammation starts to decrease. As more time passes and the stem cells continue to do their job, you will notice a more significant difference in your symptoms. For many people, it only takes one stem cell injection procedure to experience long-term back pain relief. In many cases, results last a lifetime. If you suffer from more serious conditions involving degeneration of the discs or joints, you may need additional injections, based on Dr. Hooman recommendation. Not everyone is a candidate for stem cell therapy. However, if chronic back pain is limiting your ability to perform your job or participate in activities you enjoy, a stem cell therapy consultation may be worthwhile to restore your quality of life.